Reece, who lives with depression and anxiety, was out of work for three years before he reached out to WISE Employment in Latrobe Valley (Morwell, Traralgon, Warragul and Wonthaggi) for support. Due to his mental health, Reece had convinced himself that he wouldn’t be capable of working or would be ‘too much work’ for an employer to take on. “I did volunteering where I could, but because I was out of work for such a long period, I was losing hope that I would be able to work again or that someone would want to hire me,” he said. 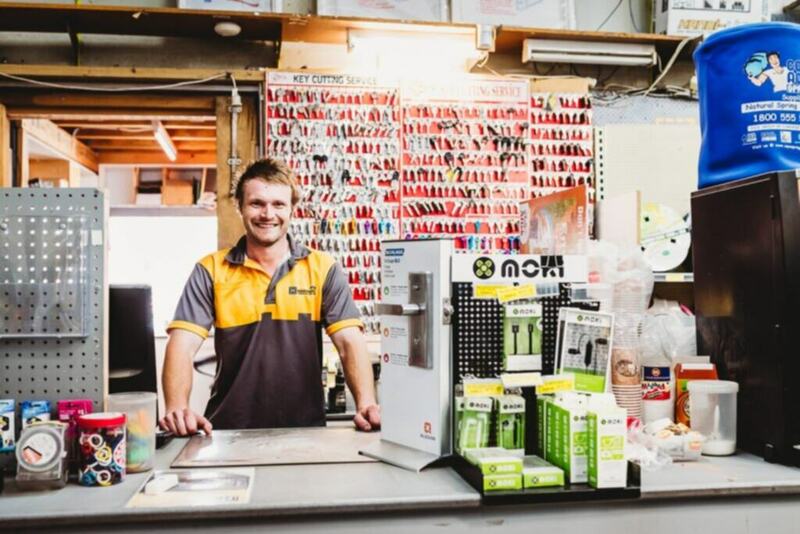 Upon signing up with WISE, Reece had two interviews within the first week and had secured a job at H Hardware Traralgon within two months. Since starting his role as a trade apprentice, Reece hasn’t looked back. “One of the best things about working again is the connections I get to make. It’s just nice to be able to engage with people who I wouldn’t usually get to,” said Reece. Andrew, manager of H Hardware and Reece’s boss, couldn’t be happier with Reece being part of the team. “Reece has been great, he’s always willing to have a crack. “It was a learning curve whilst working out how to work well together, but now that he’s settled Reece is thriving,” he said. Andrew is a strong advocate for hiring people with disabilities and mental health issues, believing that no matter a person’s abilities there can always be a role for them. “Disability is a very broad term, so there are a lot of misconceptions around hiring people with disabilities. What I’ve found is that people just want to work and are very driven in the right role, making for very reliable employees,” he said.